What Can You Do With Your Free Time To Make Money? These days many of us are looking for ways to make money in one shape or form, whether it’s taking a second job or selling some of the stuff you no longer use. Hobbies that make you money are a perfect example of being creative with what you’ve got without making huge changes to your lifestyle. You have spare time but it’s time that perhaps you want or need to be at home for, so taking a 2nd job outside the home won’t work. Using your spare time productively to create something rather than sofa surfing all evening is a smart idea. Even smarter is if you can turn that productive hobby into money, from the comfort of your home. I don’t know many people who wouldn’t jump at the chance to earn some extra cash. 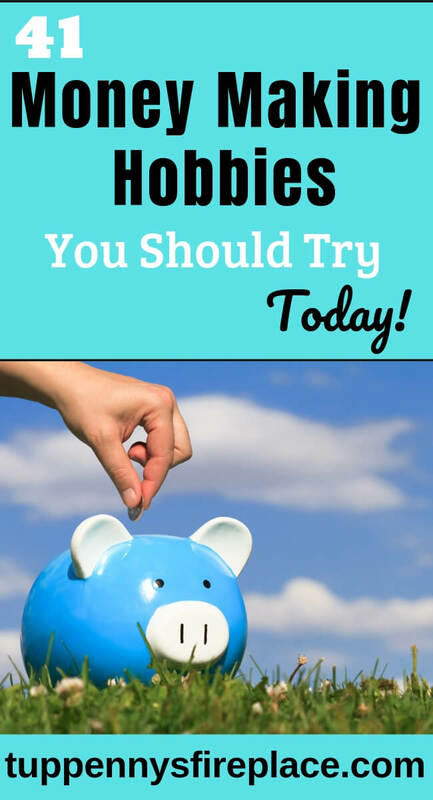 Even if you don’t currently spend hours on a hobby every week this list of hobbies that can make you money will surely get you thinking about the skills you already have. Skills that can make you money if you are up for a little extra work. Perhaps you are aiming to become debt free? Or maybe you want to earn extra money so you can stop living paycheck to paycheck? Whatever the reason wanting to start making money from home, your hobbies are a great place to kickstart your earnings. What Are Some Good Hobbies To Have? The simple answer is, a good hobby for you is the one that you will enjoy doing. If you are looking or need extra cash then doing so via a potential money making hobby you enjoy is a good idea. Doing something you enjoy and getting paid for it gives you a win:win situation. And when you are making money from home you can fit it in around your existing commitments and be the boss of what you do and when you do it. Now doing something as a hobby and doing it as a small business can be two very different things. As a hobby you do things for yourself and maybe immediate family. When you are running a business, albeit it a money making hobby business from home, you are doing things for others in exchange for cash. You do need to have a business focus to your money making hobby because you intend to earn from it so take a little time to get yourself organised. Think about how many hours you have available each week, or how many you want to spend on your hobby. Where do you normally do your hobby now? Can you still do so if you are ramping up your focus on it? Are there any aspects to your new hobby that you need to do more research on? You don’t need to make any big changes straight away but spending the time upfront to giving thought to your new business venture will stand you in good stead later. If you’re not sure about running a business but want to get your finances in better shape, why not check out these posts to kickstart your money saving? Now that the internet is firmly embedded in our everyday lives it allows us so many more opportunities to make money. Gone are the days when we were reliant upon newspaper adverts and word of mouth. With the internet you can tap into a worldwide market if you so wish. It certainly allows you access to more money making opportunities than just in your local area. So this first set of ideas is a list of hobbies that can make money online, so just you, your computer/phone and your hobby. You won’t need a separate craft room, a ton of supplies or even have to leave the house to earn money. These are perfect hobbies that can make money for stay at home mums, or anyone else who needs or wants to be at home. Entering competitions can be a great way to receive gifts and money. If you enter just one or two a week then your chances can be quite slim in terms of winning. By entering hundreds you improve your chances massively and gain experience on what makes a winning entry. There are forums you can join where ‘compers’ share new competitions, tips and advice. You can find the Moneysavingexpert forum here. Top tip – use an email address solely for your competition entries as you will get a lot of mail. Do you love reading, but get annoyed with all the spelling, grammar and punctuation mistakes you can’t help but find? Why not turn your love of reading into a hobby that makes money from home? 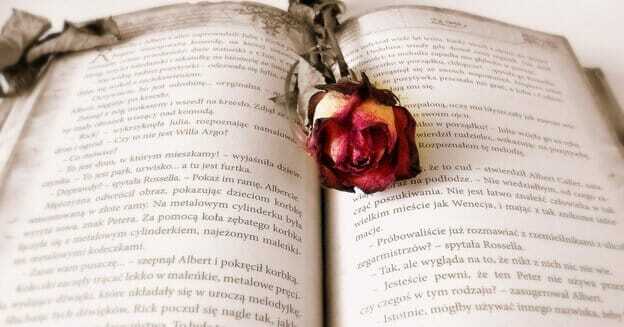 As a proofreader your role is to find the mistakes on things such as novels, newspapers and cookbooks. 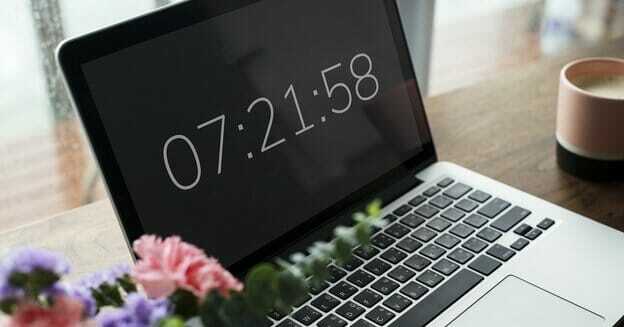 You get to work from home and choose your own hours so proofreading can be the perfect money making hobby to fit around your existing commitments. Find out more about proofreading in the FREE 76 minute workshop that Caitlin Pyle runs. Caitlin earns over $40k a year as a proofreader, all from the comfort of her home, or wherever she is in the world! In this free workshop Caitlin provides advice on how you too can start your own quality proofreading business. It also covers how to find proofreading jobs and your first clients. There is money to be made with your love of social media! Did you know brands will pay people to advertise their products on Instagram, Twitter and Facebook? The more followers you have, the better engagement you have, the more money you can get for each ‘campaign’. Top tip – check out some of the big Instagramners you are already following and see what products they are advertising. Are you the super organised friend who always sorts out social gatherings, books shows, hotels and meet ups? If organising other people is your thing then you could turn it into a side income gig by becoming a Virtual Assistant (VA). A VA is basically an online assistant, organiser and support and typically works for small businesses, entrepreneurs and bloggers. Gina Horkey has a FREE ebook detailing more than 150 services you can offer as a VA. I thought I could guess many of them but I was surprised at the variety of things businesses need help with, some quite basic. What I think is attractive about the VA role is you get to decide what you will do. If you don’t do Pinterest then don’t offer it, same goes for anything else. Why not have a read of Gina’s free ebook and see whether it’s something you think you could turn into a money making hobby from the comfort of your home? If gaming is your hobby then you could be earning money from it. I know many people enjoy online gaming where you join other gamers competing and talking to each other across the world. You can upload your game play to YouTube for others to watch while you play. Once your followers reach a certain level you can add YouTube ads and earn money from them. If you are a hotshot gamer you may be keen to pit your skills against other top players. Esporting is the name given to the art of playing in gaming tournaments for money. Just look at how much money is involved in the esporting business! If you enjoy writing, whether that’s stories, reviews or letters to family, why not turn that interest into a hobby that can make you money? Freelancer writers get to work from home, in their pyjamas, at a time of their choosing. Everything you read on the internet is written by someone, so why not it be written by you? Gina has a great post on how to become a freelancer writer broken down into 7 easy steps including where to look for your first jobs. Gina started her own freelance writing business in her spare time and within a few months was earning more than $4,000 a month. There’s bound to be a few ideas there that fit right in with you. Travelling is a popular hobby for many people. Saving up for the latest mini adventure and then writing about it, pictures and all, can be a nice little money spinner if you are good at it. You could create your own travel blog or get some of your articles printed. 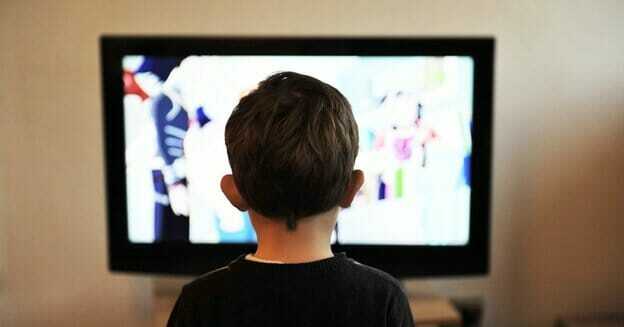 Did you know you could earn money by watching videos on your phone? Or computer. I am sure you’ve heard of Swagbucks. When you register with Swagbucks you get the opportunity to earn points (which you can convert into free gift cards) by doing your usual online shopping and web surfing. But what is less well known is that you can also earn points (= gift cards) by watching videos on your phone whilst you are on the go. Sticking with Swagbucks – did you know you can also earn free gift cards by playing online games through Swagbucks? If you haven’t already, sign up to Swagbucks here and start playing and earning. 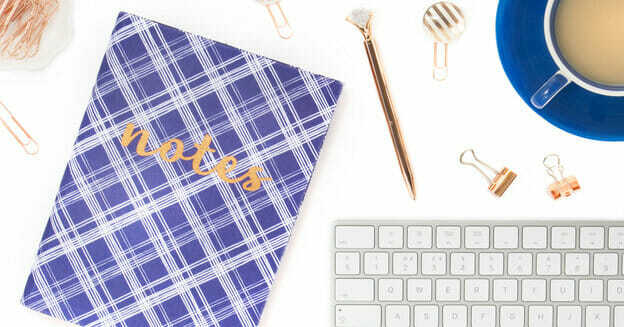 If you’re looking for a job to work from home, rather than just a money making hobby, why not check out this fantastic list of the best online jobs from home without an investment. Not all hobbies are online though so I’ve compiled a list of hobbies that make money from home for you which focuses on using your skills in a home environment. 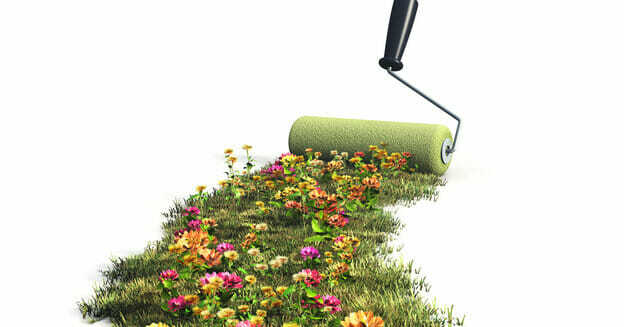 Many skills that you can turn into money require you to work outside of your home but this list of hobbies to make money from focuses purely on your home. So your hobby is home based and allows you to be where you need or want to be for the majority of your time. Cake making is big business these days. Yes you can buy cakes in your local store but I don’t know many people who prefer store bought over homemade. 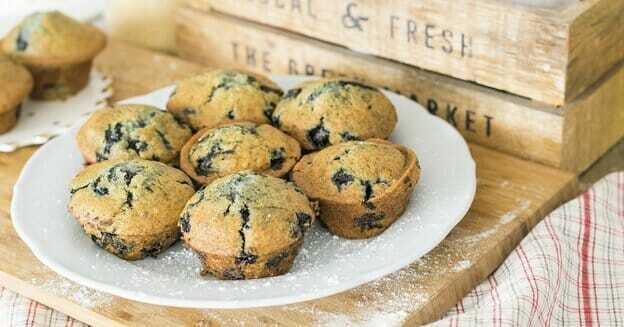 Many cake business owners have started out baking as hobby with a view to to making a little extra money from home and grown from there. Many people (like me) are no good at cake decorating or complicated different flavoured cakes. So if we know someone who can make a beautiful cake then we want to be able to buy from them. Creating beautiful looking cakes is an art form and definitely one of the best hobbies that can make you money from home. A colleague I worked with was renown for her cake making and decorating skills and earned a nice little sum from her hobby. I think she created beautiful cakes for most of her colleagues and their family over the years. She eventually took the plunge and opened her own teashop 3 years ago and is still going strong. You might not want to open a teashop but perhaps you could offer cake decorating courses and cake decorating parties for young and old alike. Word of mouth works wonders for budding cake makers. Top tip – You can also create your own Facebook Page, Etsy Shop or website to share your designs with potential customers. If you love to shop and have a bite to eat when you’re out but don’t want to be spending your money, why not spend someone else’s and become a mystery shopper? As a mystery shopper you get paid to buy products and provide feedback on the service you received, what you observed around the shop or establishment. For example the helpfulness of staff, waiting times, cleanliness of shop. Services you might buy are really varied from drinks in a pub to a meal to a banking product to items from a pharmacy. And so many more. You can even do mystery shopper jobs in the airport on your way to your vacation! For mystery shopping companies in the US, Dollar Sprout’s post has information on 14 different mystery shopping companies to work for. If you are a creative soul and love to make your own jewellery why not turn this into a home business to make you money? People will pay good money for beautiful pieces of jewellery and each piece you make will be unique. An old friend of mine has always had many different craft hobbies. When she started making her own jewellery she saw the potential for turning her hobby into a money making business to top up her income. She started selling through word of mouth and then set up her own Etsy shop for her jewellery and other craft items she now sells. Many people also sell through their own Facebook Pages or at craft fairs. Top tip – You can take orders for specific pieces and advertise ahead for peak jewellery buying times such as Valentine’s Day and Christmas. 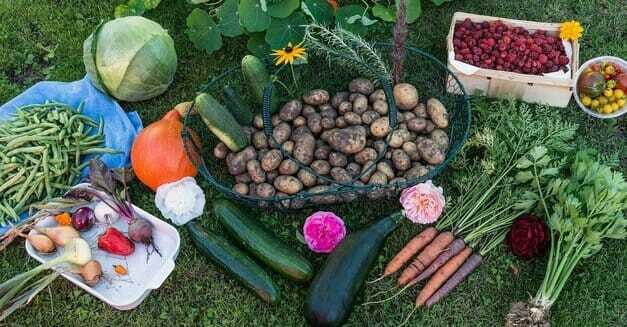 Whether you are into the self sufficient lifestyle or just love growing your own fruit and vegetables, there could be money to be made from your garden. Every gardener knows that when growing your own vegetables you always have gluts of certain items. Whether that’s green beans or courgette/zucchini you will have too many to feed you and your family. You err on the side of caution when sowing seeds to ensure you have enough that germinate and often end up with too many seedlings. There is a market for selling seedlings and young plants as many people are not interested in this part of the growing cycle. However, most people I know, especially those with children, love the idea of growing a few tomatoes in a pot or their own pumpkins. You could create an honesty box in your front garden and display your wares or advertise through word of mouth and your local neighbours. Top tip – You or a friend could also take a box of your fresh produce into their workplace to sell to colleagues. It’s not just fresh fruit and vegetables that people like to buy locally and at a good price. 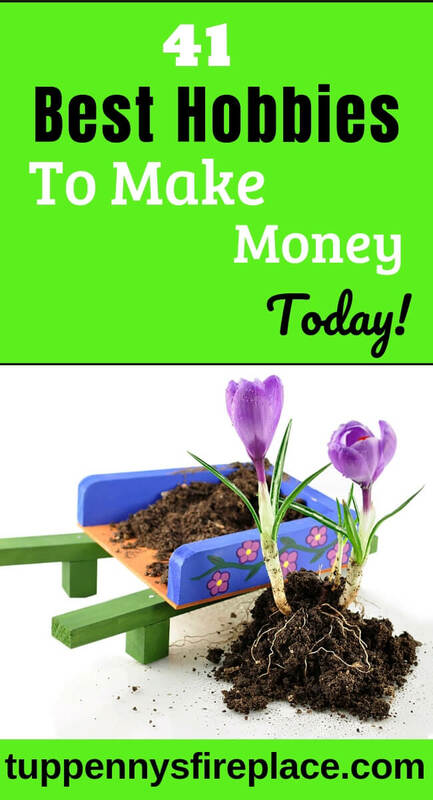 If your hobby is growing your own flowers and tending your plants then why not turn this hobby into a money making business, all from your home? Plants can be super expensive to buy yet everyone likes to have a garden that looks nice. Your own garden is an advertisment of your plant growing skills. An honesty box with various plants for sale is a great way to start making this hobby into a money making business. My Aunt had green fingers and started out in this way. She grew it into a full time market garden business with 2 poly tunnels and 3 days a week selling at local markets. Garden produce whether vegetables, plants or flowers are a great money making hobby for retirees. I have an allotment and most of my fellow allotmenteers are retired and supplement their pension by selling their excess produce. Age is of course no barrier to this profitable hobby! Creating a beautiful piece of furniture out of something that has seen better days is becoming a more and more popular way of furnishing your home. You get a uniquely designed, fresh looking piece of furniture for very little money. Not everyone has the upcycling gene though so if you have and you enjoy using your skill to create nice looking pieces you have the potential to make some money out of it. Top tip – Ebay, Facebook Marketplace, Gumtree and Craigslist are all places you can sell your finished pieces. Are you a hobby painter? Whether you enjoy painting landscapes, portraits or pictures of your pets you could create a small hobby business out of your love of paints. If you can capture the essence of animals then you will likely find people are willing to pay you to paint their pets. Again, having your own Etsy shop or advertising via your own Facebook page is a great place to pick up some sales. If you love walking why not earn a little extra money at the same time? Local business are often on the look out for leaflet deliverers. The pay won’t be great but every extra penny can help. And you keep fit at the same time. If you use essential oils as part of your family’s health and well-being tactics you could expand into selling your favourite brands. Essential oils are often sold by individuals who love the products and can testify to the benefits they have provided their family. Do you keep bees? Why not sell the excess honey you collect from your hives? There is always a ready market for locally made honey. Carpentry is a skill on many different levels. From cabinet making to putting up shelves to making toys, this is a skill and a hobby that you can make money from. Mr2p is a carpenter and in the past has combined his love of nature and wood to create shepherds crooks and walking sticks from unique looking sticks and branches he has found when out walking. Got a ton of ideas for a book? Why not write that novel and publish as an e-book? You don’t need to write a 400 page tome, shorter books are very much in vogue and allows readers to read different books on different subjects quickly. Whether you’d like to write a racy novel, a how-to book or a sci-fi epic, ebooks via Amazon and online publishing is very doable. Top tip – price your book competitively, £2.99 – £7.99 is a good price. Anything less and you could be undervaluing your time. Anything more and you might put off potential purchasers. Money making hobbies don’t have to be confined to your home. There are plenty of hobbies that utilise your skills that get you out and about. Skills that you may have worked hard to perfect because they matter to you could turn into a side hustle. Because you’ll be practising your skill you will continually refine and perfect that skill. Thus providing you with the potential for increased self satisfaction in what you produce and a way to increase the money you can make. Below I have curated a list of 20 hobbies that make use of your skills. Strangely, both my daughters have enjoyed photography as a hobby. DD1 is now a full time photographer and her sister, DD2, is joining her in making a side income from photography. DD2 is at uni studying in the performing arts industry. She is combining her industry knowledge and her photography hobby by offering head shots and performance portfolios to other students. Something they all need in order to apply for and attend auditions. Why not pick up your camera and start making money? If you prefer to take photos solo then you could make money by selling your photos to websites like shutterstock and depositphotos. Bloggers like myself are always on the look out for new and unique photos to buy, especially if, like me, they don’t rate their own photography skills. I love visiting fleamarkets, car boot sales and other bargain basement second hand stores to try and find the ultimate bargain. I focus on items for me but maybe you love finding a bargain and flipping it, selling it on, for a profit. If you enjoy finding a bargain and selling it why not put more focus and energy into it in order to generate a decent, regular side income? Rob and Melissa Stephenson have done just that for over 20 years. They have flipped everything from garden furniture to kids toys to water sports equipment to an army sleeping bag. Rob and Melissa run Fleamarket Flipper where they provide you with a load of information on things like how to sell on Ebay and how to successfully ship larger items. As well as show you what they’ve flipped and how they did it. Music is often an essential part of parties, weddings and other social functions. If you love music and have built up a good collection then why not share it with others and make money at the same time? Check out this book by Michelle Miller on how to start a DJ business. She did it whilst juggling motherhood – proof it can be done. There are many different driving opportunities that you could turn your hand to if you enjoy getting behind the wheel. Uber is in pretty much every town and city on both sides of the Atlantic and more. Driving for Uber you get to decide when and where you’ll be driving so perfect to fit around the day job. Lyft is another driving app that you could sign up and drive for but has not yet set up in the UK. Alternatively there are many drivers who share taxis. As the non-taxi owner you would pay rent for the time you use the taxi and work your driving schedule around the owner. Making your own clothes is a great money saving skill and enables you to have unique to you clothes at a fraction of the cost of designer labels. Why not utilise these skills to carry out repairs on other peoples clothes? I find any trousers I look at buying are way too long for me, since when did everyone suddenly get an inside leg measurement of 34 inches and more? Taking up trousers, replacing zips and changing hemlines are all sewing tasks that many people are not confident enough to do. And would willingly pay someone local to do it for them. Get the word out about your tailoring/seamstress business through friends, family and Facebook. If you enjoy DIY then you are a very handy person to know! I know I am super lucky being married to Mr2p with his carpentry and general building skills. Many people don’t have the time, the inclination or the skill to carry out even the most basic of maintenance tasks. Professional trades don’t want to get involved in small tasks like putting up shelves or fixing leaky taps. This gap in the market is perfect for someone with your skills. Top tip – Set up a Facebook page and upload pictures of your handiwork. Getting perfectly crafted nails is most definitely an art form. If you have mastered the art then this hobby of yours can definitely bring in some extra cash. The great thing about being a nail technician is that your customer base could be almost 100% repeat customers. On a very regular basis. Top tip – Nail art and perfectly painted nails are very visual so advertise your skills via Instagram and Facebook. As part of the wedding day preparations most brides now employ a bridal makeup artist for themselves and possibly their bridesmaids. This isn’t a cheap activity and involves both the wedding day and the trial a few days beforehand. Create a portfolio of fabulous looks by doing 3 or 4 friends weddings for free and then start advertising through friends, family and colleagues. Top tip – check out this book for great advice on how to get started as a professional makeup artist. Beauty treatments are big business these days with people considering them part of their normal grooming routine. Many people are working long hours and don’t get the opportunity to visit a beauty salon at a time that suits them. If you love all things beauty you could set up as a mobile beauty service. Why not target those busy workers and offer your services at their workplace? Top tip – Lunchtimes are perfect for a half hour treatment. These days the lunch period spans up to 3 hours a day so you could get quite a few treatments booked in. If you enjoy cutting your family and friends hair why not set up as a mobile hairdresser? Getting your hair cut in a salon can be a very expensive business these days and many people don’t have the spare cash to pay for this luxury. Being a mobile hairdresser keeps your costs down low – no salon or chair to pay for and you are in control of when and where you cut hair. Top tip – Advertise through friends, family and Facebook. Coaching is a growth area in many different industries. People want to improve different aspects of their lives whether that is in sports coaching, life coaching, weightloss, cooking or business coaching. If you love to mentor others and friends are constantly seeking out your advice then now is a good time to cash in on this and make yourself some money. Referees are always in demand as, let’s be honest, it can be a bit of a thankless task! Everyone loves to play football (in the UK), soccer (in the US) and other sports such as rugby and baseball but most people don’t like the ref’s decisions at some point in every game. If you know your sport why not look into being a referee? Every game needs a referree, you get some exercise, some money and everyone gets to enjoy the game. Most amateur games are played at the weekend so this paying hobby can easily fit around your day job. To me it’s sounds strange but many people love to clean! If that is you then you can definitely make some extra money on the side by cleaning other people’s houses. You don’t need any expensive equipment to get started and can fit your hours around your existing family and work commitments. Top tip – put the word out among friends as they will likely know someone who is desperate for a cleaner. 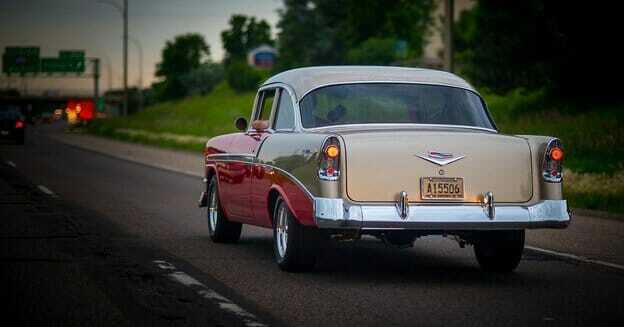 Being able to maintain your own car is a fantastic frugal skill that more people should try to develop. It can be a dirty hobby but one that you could turn into a lucrative money making venture because in all honesty most of us really don’t know much about cars. Oil and filter changes and light maintenance are all services you could offer in exchange for money. Top tip – Being a mobile car mechanic allows you to work around your customer’s weekly routine and carry out maintenance on their driveway or at their workplace. Most musical instrument teachers are self employed and often teach in addition to their other jobs. If you are a skilled player in at least one instrument then why not make some extra money teaching others how to play that instrument? These days kids are taught the basics of coding and design at school. But many people don’t have the IT skills to design or change their website and will willingly pay good money to someone who can. Being able to take apart a computer and potentially fix a broken one is a skill that a lot of people would pay good money for. Computers are expensive so frugal people like myself would rather fix their current computer than splash out hundreds on a new one. The great thing about fixing computers is everyone has one so the money making potential from this hobby is definitely there. I love looking at other people’s houses and wishing I could recreate the looks they achieve for seemingly very little money. If you have the interior design knack then there are people out there who could pay you for your design skills. This post has some really useful information on things to think about. Top tip – Why not target those with less money to spend and create a niche for interior design on a budget? Fitness is big business these days. Many people join a gym with good intentions but don’t keep it up. Gym’s can be intimidating places and costly if you’re not making full use of them. A fitness instructor can be a great way to help people find the right method of working out to suit them. Working with clients on a 1:2:1 basis or in small groups can provide you with regular clients and a money making business all started from your keep fit hobby. There are many very successful amateur dramatic societies around the country full of great actors. Whose day job is not acting. If you have a love of am-dram why not look into being a TV or film extra? You get paid and you get to be on a real TV/film set. It might be a little more difficult to fit in around your day job but then many of us don’t work a traditional 9-5 and nor do film crews. As you can see, there are so many different hobbies that make money, whether that’s from home, online or some place else. If you need to make some extra cash you don’t need to necessarily take a bar job that mucks up your sleep pattern and domestic situation. You might already have a hobby that you could convert into a money making hobby. Or maybe the list above has given you the right amount of inspiration to get started on one. 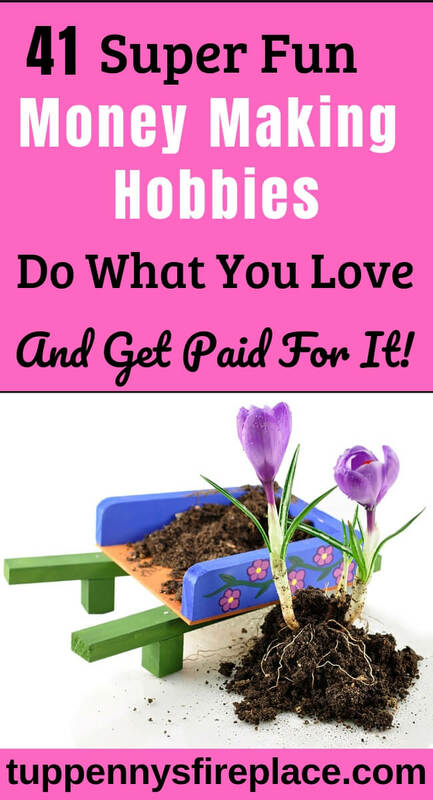 Whatever your situation I think this list of hobbies that make money really does prove there is something out there that you can do and earn a little extra cash doing it. Have you got a hobby that you could earn money from? Why not share in the comments?